Check out these limited edition “Retro” helmet produced exclusively for Barrington Sports, UK. Clean crisp classic looking helmets with no fuss. The OBO CK helmet offers unrivaled protection at the highest level of the game. Replacing the coveted Union Jack helmet these retro helmets will help you keep your head! Got this helmet? Give us a picture of you in your gear and we will upload it to this article. What use would Kiwi sports equipment manufacturer OBO have for high-speed cameras, capable of capturing 2,000 frames per second? The answer to that question isn’t that obvious, but damn cool. Read more about OBO and Nightside Test Design’s clever use of high-tech gear for designing their products. When you’re in the business of creating safety equipment but have no safe way to test it, what do you do? If you’re Kiwi sports equipment manufacturer OBO, you team up with test engineers Nightside Test Design to create an award-winning specialist electronics and software system. “Before now, we really had to test the equipment using an ‘Ouch!’ factor,” says OBO test engineer Reuben Parr. The two New Zealand companies worked together to develop a cannon that can replicate a hockey puck flying at full speed, and combined it with motion sensors, a camera and a data-capture system. The system allows OBO to test and analyse its own products, as well as test competitors’ products and analyse their strengths and weaknesses. He’s staying mum on the finer details of the helmet, which will be released early in 2009, but it will be lighter and stronger with good visibility and ventilation. “This knowledge has really allowed us to hit a sweet spot with our design, and know what the outcomes will be,” says Parr. Since working with OBO, the Nightside testing unit has been recognised at the Australasian 2008 EDN Innovation Awards, winning the top prize in the Best Application of Test or Data Acquisition Equipment category. A spin-off from OBO’s new knowledge could also lead to riot police around the world wearing protective gear made in New Zealand. A $217,000 investment from TechNZ, the business investment arm of the Foundation for Research, Science and Technology, is helping OBO understand exactly what happens to the body, particularly the face and head, when hard balls hit at high speed. By understanding the science of high-speed, hard ball impacts, body tolerance, injury protection and materials, the company is now better able to create unique products. “This is a bold step forward for OBO, which is building new knowledge and critical science capability, that will put it on a path to becoming a high growth company,” says TechNZ senior business manager Elisabeth Feary. 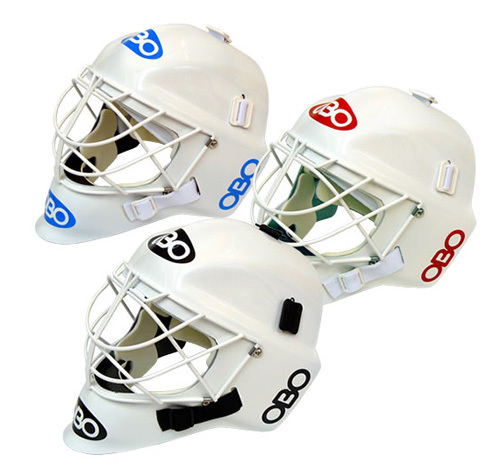 OBO already has a world-class reputation for producing field hockey goalie protective equipment, with about 65 per cent of the world’s goalies wearing OBO gear, which is sold into 61 countries. The TechNZ funding has been used to build a laboratory and develop software to specifically measure ball speed impact and to investigate new materials. In the lab, a ‘cannon’ fires balls at 200 kilometres an hour, with the motion and impact data providing information that has never been captured in this form anywhere else in the world. 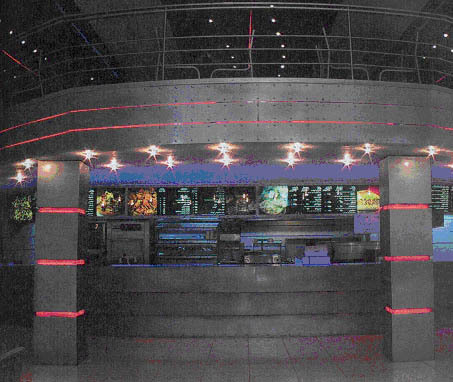 The unique knowledge feeds into the design process, with the lab also used to test the validity of the resulting products. There are international safety standards governing the manufacture of helmets but no such standards exist for face protection so OBO is taking it upon itself to also develop these along the way. OBO founder Simon Barnett says it was a frustrating exercise to search the world unsuccessfully for scientific information about ball-speed damage, but it also opened up opportunities for his company to identify a new niche market in designing and marketing face protection for a range of sports. Face protection that allows excellent vision without compromising movement is vital for softball pitchers, wicket keepers and hockey players, who face unpredictable balls when running out to defend during penalty corners. Mr Barnett says faster ball speeds are creating demand for different types of player protection. “Higher ball speed results in reduced reaction times, greater damage, higher medical and dentistry bills so the need for face protection is now greater than ever before,” he says. OBO is aware that it is not only the design and new materials to withstand the impact that are paramount for market success, the beauty factor is important. “We’ve talked to players and identified their needs and then worked in the laboratory to develop materials and shapes with the necessary performance characteristics and then added the beauty factor. “The gear has to be functional and the players have to like wearing it, so it has to look good but it also needs to look intimidating to the opposition,” says Mr Barnett. The results of OBO’s scientific testing are likely to be on the market in about six months, giving the company a whole new product category. The new face protection will have greater strength than existing face masks but will also take into account that gear needs to give players excellent visibility. Understanding new materials and designing equipment that takes the impact of potentially bone-breaking activity is also likely to give OBO a foot into new markets, such as protection for police working in riot or dangerous situations where vision and mobility are essential. “OBO’s new scientific knowledge will underpin future products and is also helping the company in its transition from a niche manufacturer to a global sports company with the ability to break into larger, more profitable markets,” says Dr Feary. The new products have the potential to increase OBO’s turnover by as much as 600 per cent in five years. Mr Barnett has never played a game of hockey in his life but he now gets plenty of feedback from his 13 year old daughter who plays in goal for her Palmerston North Girls’ High School hockey team. 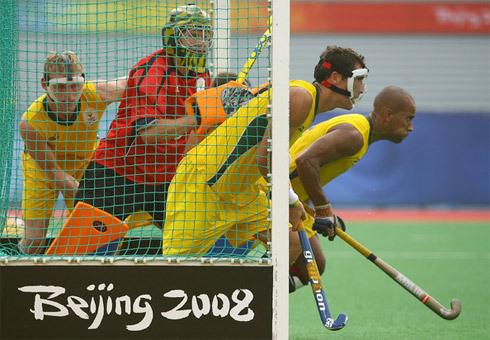 Goalkeeper Christopher Hibbert #19 of South Africa and teammates defend the goal against Australia during a pool match. OBO Goalkeeping Gear is Amazing! Get used to planning what you’re going to eat each day. Planning helps to stop eating whatever, whenever. 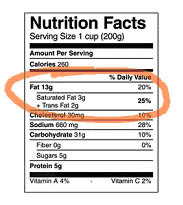 Check the labels for the amount of fat, carbs, and protein they contain.This is an example of an eating plan for a player who has a light run in the morning followed by training or game in the afternoon. After training to replenish energy stores Sports drink, muesli bar, water, fruit. Protein (drink) for muscle growth. Drinking adequate amounts of fluid can prevent dehydration, reduce heat disorders, and provide a convenient source of energy. It can get pretty hot in all that gear and fluids help regulate your body’s temperature. Ensuring you have sufficient fluids before and during training, can improve your performance. Replacing lost fluid after training helps in your body’s recovery. Water is the easiest and most convenient fluid to drink. You should drink at least 2 litres of water each day, but more when you train. You should drink adequate water prior to training and games to keep you hydrated. Drink regularly throughout training – about every 15 minutes. Afterwards, water should be drunk to compensate for lost fluid from sweating. It is a good idea to drink water that contains electrolytes to replace the ones you lose through sweat. If you train longer than an hour or at a high intensity you would benefit from a sports drink. As well as keeping you hydrated, sports drinks provide a source of carbohydrates, and sodium to fuel you during intense training sessions and replace lost electrolytes. For most goalkeepers water will be sufficient during trainings and the game. After the game consume more fluid from either water or a sports drink. If the training session is particular intense, look to have a sports drink. Note: Don’t confuse energy drinks with sports drinks. Energy drinks can contain caffeine and although they can give you a quick hit of energy, they do more bad than good. Energy drinks should be avoided. Bruises, sprains, knocks and even broken bones come with the territory of a goalkeeper. Protein helps in the repair and recovery of damaged muscles and tissues, and in the recovery of energy stores. Consuming sufficient amounts of protein enables your body to recovery from training and to build strength. For young goalkeepers, protein is also needed for normal daily growth of the body. Those who are wanting to “bulk up”, must also consume protein. 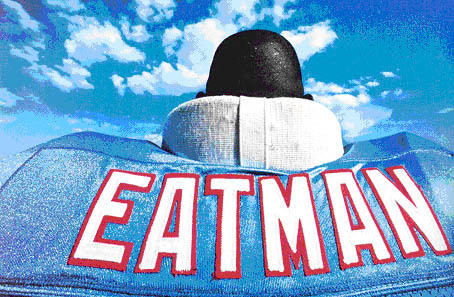 If you want to build muscle you got to eat man! Most people consume enough protein for their normal daily needs but sports people need to monitor their protein intake especially when they are trying to increase muscle. You should daily consume 1 – 1.5g of protein per kilogram of your own weight so an 80kg person should consume 80-120 g of protein each day depending on the intensity of the training. Young goalkeepers still growing should daily eat 2g/Kg of body weight. Dairy products, eggs, meat and vegetables are all good sources of protein as to are protein bars and protein shakes. Extra weight can slow you down. Although fat helps protect the organs from damage, we prefer our gear to do that. Simply put, if you eat more than your body needs, you get fat. Obviously the moral is not to overeat. Consume enough food to provide energy for all your daily activities – training, recovery, growth etc. As well as how much you eat, you should also consider what you eat. Decreasing fatty foods such as fast food, fried food, and junk food will reduce the amount of fat you consume but by also decreasing your sugar intake (sweets, cakes, biscuits and soft drinks) will stop your body converting sugar to fat. By keeping energy requirements and food consumption in balance, and consuming very little fatty foods and sugar, you can not only avoid fat increases, but also decrease the amount of fat that you do have. 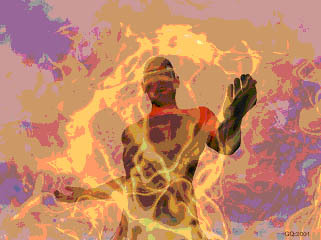 Think of your energy levels as a fire no fuel, the fire goes out and your energy levels decline. You need to continually feed the fire to keep your energy levels up. It’s important that you have sufficient fuel before, during, and after your training to keep your fire burning. If you’ve ever felt tired, light headed, uncoordinated or weak, it might just be that you’re low on fuel and your fire is going out. If you have high levels of fuel stored before training, you will be able to use that energy to train harder, for longer. Carbohydrate is the body’s fuel that stokes up your fire. Good sources of carbohydrates come from breads, grains, pastas, fruit and vegetables. The way you train is different to the way you play on game day. You may shed the gear and train with the rest of the team runs, sprints, aerobic exercises etc. Then the gears back on and it’s working on drills, agility, reflexes, and saves. Training can be quite intense, long, and arduous. It’s in these training situations that you have to have sufficient energy to get you through. Eating a carbohydrate meal before hand brings your energy levels up. Look to consume about 200g of carbohydrate 4 hours out from training. This will give you plenty of fuel to have your fire burning throughout training. Consuming carbohydrates while you train, in the form of a sports drink, keeps your fire burning with a ready supply of energy to your muscles. This enables continued performance and delays the onset of fatigue. After training, carbohydrates help maximise recovery and restore your energy levels to have you ready for your next training session or game. On game day your energy requirements are different to training. Stretches, a light warm up run, a few practice saves, but nothing too physically intense. Then during the game, it’s short spurts of energy when the opposition’s on attack. While your team mates are out there running a marathon, your energy levels aren’t required to be as high, so a light carbohydrate meal should be sufficient a few hours out from game time. 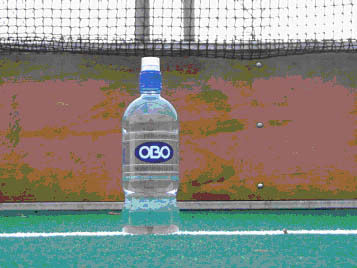 Sports drinks can be used before or during games. Today’s goalkeeper needs to be a super hero – speed, strength, courage, energy, reflexes, coordination, agility, skill, decisiveness, and determination. It’s no longer the fat person who gets put in goal just because they take up the most space. 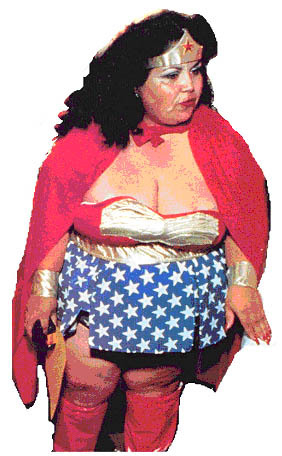 There’s an old adage that says, “You are what you eat”. If you want to be a fireball of energy, a steel ball of muscle, or a butterball of fat, it’s going to depend on what you put into your body and how you train your body. Good nutrition is a key aspect to the performance of any keeper. If you’ve ever felt tired during training, or worse during a game, it may be that your nutrition needs are lacking. Consuming the right foods at the right time can ensure that you have sufficient energy levels to get you through your toughest training and game. It also enables your body to recovery faster, your muscles to grow stronger, and your mind to stay sharper.